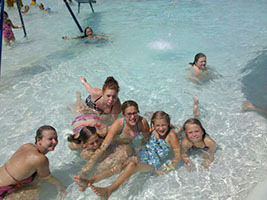 Summer camp is a great time for kids to make new friends, gain independence, learn new things and have a whole lot of fun. 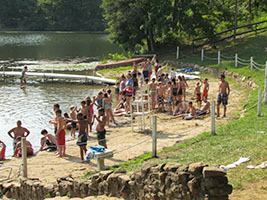 And there is nothing quite like the local YMCA Camp. Have you ever sent your kids to camp, or even considered it? You might after discovering all that goes on there. Some exciting things planned for campers this summer include horseback riding, shooting a bow and arrow, climbing, kayaking, canoeing, archery, bb guns, swimming, and learning about nature. 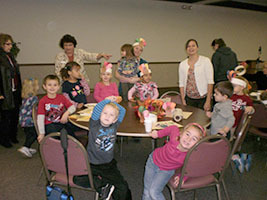 “And along with the fun activities we teach kids core values, such as responsibility, caring, honesty and respect. We focus on that. It gives a deeper understanding of what it means to grow in character, not just skills,” Taylor Ellis, Girls Village Director, said. YMCA camp counselors come in from all over the US and the world. Y-Noah is hosting 8 international counselors from New Zealand, Colombia, the UK, Spain, Scotland and China, and kids are expected to experience a great cultural interchange. “I grew up here, this is my 17th summer here,” Frankie Wall, Boys Village Director, said of the camp. “I came out as a camper when I was 6 and now I’m one of the directors for the summer. I came here for the summer instead of going to a babysitter and it was a blast,” Wall said. “But once I got older and started going through the leadership program I started to form a family here. I’m still friends with people that I met here when I was 12 years old,” he continued. For parents wondering if this is for their child or not, Doreen Vanchoff, Director of Marketing and Communications for the YMCA, shares all of the positive reasons why you should. “Camp is a chance for your child to get away from home, build independence, try new things, meet new people and learn new skills in a safe environment. These are all things that we hear parent’s want from surveys from the American Camp Association,” Vanchoff said. “Camp, any camp, can and will provide these intangible, and irreplaceable, ideas to your children,” she continued. “Camp helps campers develop positive peer interactions and positive adult interactions, as well as engages critical thinking, problem solving, communication, collaboration and creativity, all while having fun in a natural setting. Teambuilding, living in a cabin with others, and the themes we produce for the campers all help to achieve these goals,” Vanchoff said. 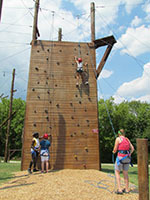 New to the camp this year is the Alpine Tower, High Ropes course, water trampoline and Frisbee Golf Course. They will also be hosting children from Colombia, South America and Spain this summer. “This is a new partnership with the YMCA’s in those countries and we are very excited to have the children come to Ohio,” Vanchoff said. There will also be leadership programs for young adults 15-17 years old who want to be counselors in the future. They will learn how to work with groups, be a leader, handle difficult situations and understand the importance of detailed communication. All of the kids will have clinics at the beginning of the week to choose what they want to do. 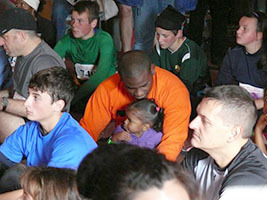 “We try to give the campers as much opportunity as possible during the week,” Wall said. Watch for next week’s story on the different types of camps, as well as opportunities to get involved, and a word from the Summer Camp and Family Services Director!